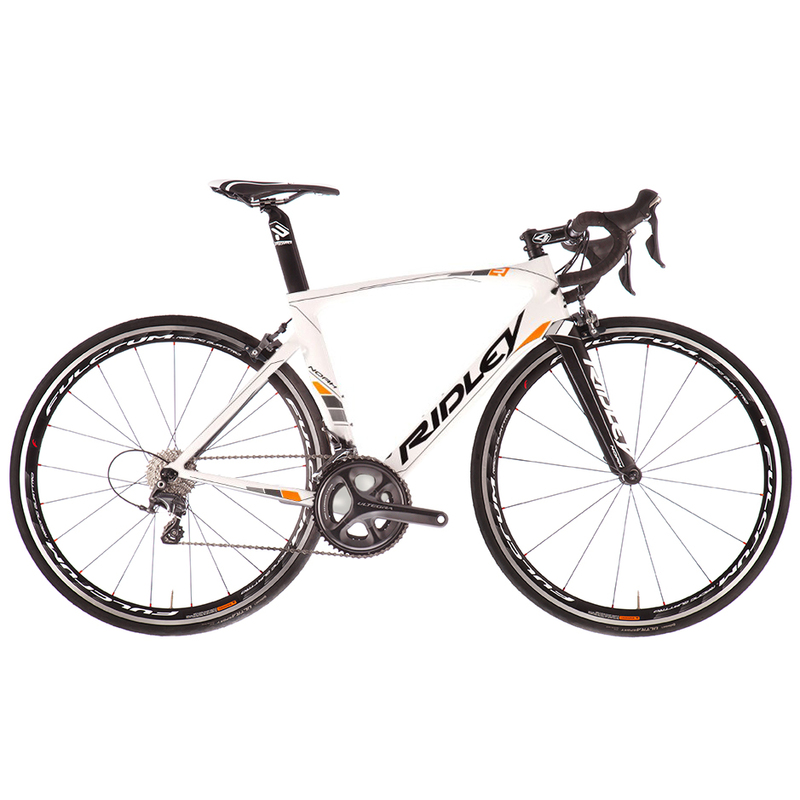 The Ridley Noah 70 Ultegra is the perfect aero road bike for those with a need for pure speed. Every aspect of this aero road bike is designed with watt-to-km/h transfer in mind. Ridley have integrated their FAST-technology throughout the frame and fork to create a machine that expertly cuts through wind in both tunnel testing and on the road. So go out, get aero and hammer on it! Nail those Strava sections as you hit your favourite rollers. You’ll return home with that nice high average speed as the bike is made to easily get you up to speed and hold you there.